As chief human resource officer for Assurant, Inc.—a Fortune 500 publicly traded company with nearly 17,500 employees around the world—Robyn Price Stonehill oversees all aspects of human resources, total rewards programs, and organizational development at the company. During her 15 years with Assurant, Robyn has held roles of increasing responsibility, ultimately leading to her present role in July 2014. Her many accomplishments have had a quantifiable impact on the company—saving millions of dollars and increasing employee engagement. A pension actuary by trade, Robyn brings an extraordinary depth of financial expertise to her role that is complemented by significant administrative and managerial skills, which have been critical for managing a wide range of initiatives in areas such as talent acquisition, diversity and inclusion, compensation, employee engagement, and employee financial literacy. 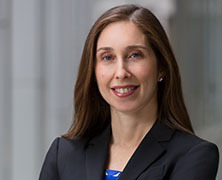 Prior to joining Assurant in 1999, Robyn served as manager in the human capital services consulting practice at Arthur Andersen, where she advised clients on retirement and benefits issues during mergers and acquisitions. She began her career as a pension actuary in the retirement consulting practice at KPMG. “I think my biggest career leap was leaving the actuarial profession and moving into a human resources role,” Robyn says. “In changing positions, I learned that you don’t need to have all the technical qualifications for your job to be good at it. A lifelong champion of women in leadership roles, Robyn mentors and advocates for women leaders at Assurant. She is a member of the board of the Athena Leadership Council at Barnard College, which is dedicated to advancement of women in leadership worldwide. And she serves as a member of the board of directors and finance committee of AMIT, an organization that runs more than 70 schools educating more than 20,000 children in Israel. …humility. You can’t view leadership as having power over others. Leadership is about bringing people together to achieve a common goal. …to take more time off to pursue personal passions. …stop multi-tasking and let my email inbox grow. …challenging while raising three children. I was able to take advantage of company programs that provided me with the flexibility I needed to grow in my career while I helped my children grow, too. …painful, but sometimes necessary in reaching the best solution. ….getting up at 5 a.m. to exercise, taking my kids to school every morning and being home for dinner with them whenever I can. …I watched a previous mentor influence the strategic direction of a company. My mentor helped other senior leaders overcome their concerns in implementing a difficult strategy so that the company could realize significant growth opportunities.